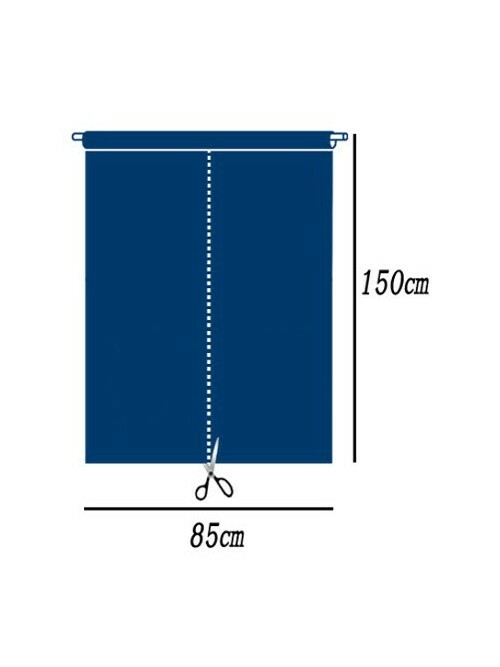 There is in the center a narrow seam where the noren could be cut with the desired height. 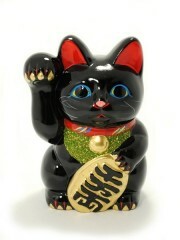 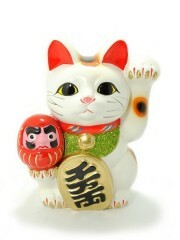 This pretty Noren shows a couple of lovely Maneki Neko. 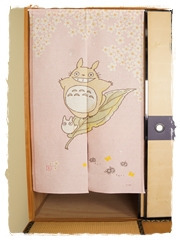 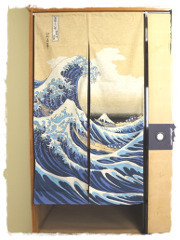 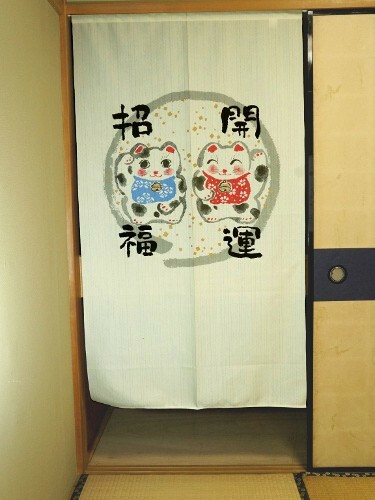 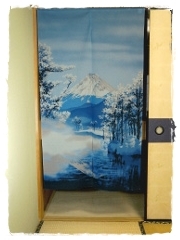 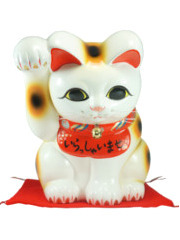 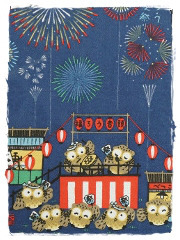 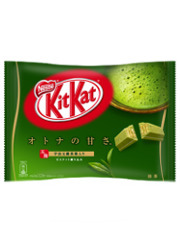 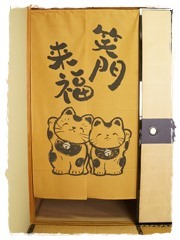 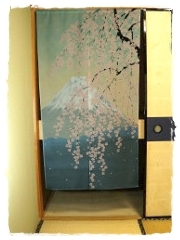 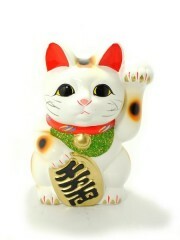 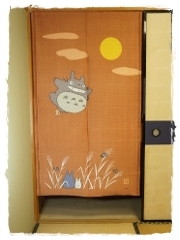 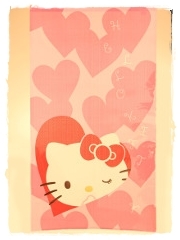 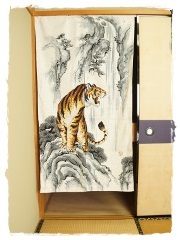 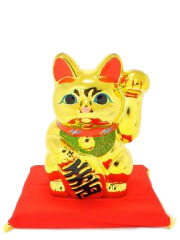 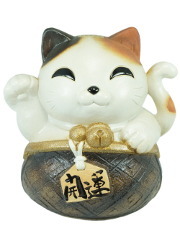 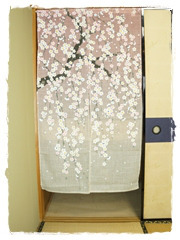 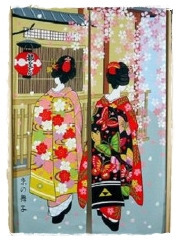 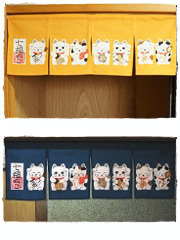 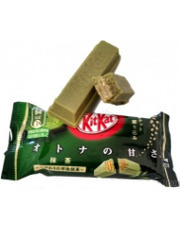 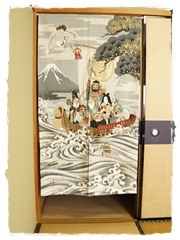 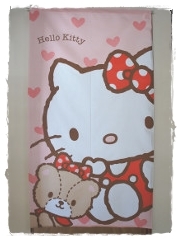 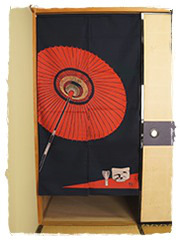 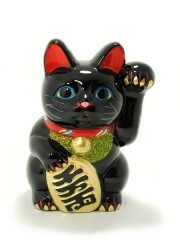 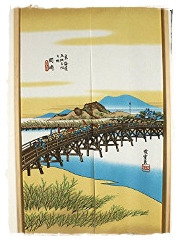 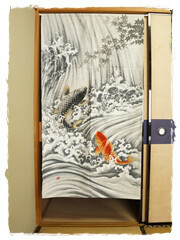 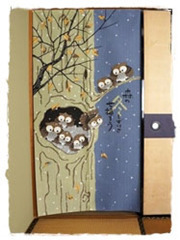 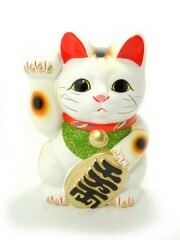 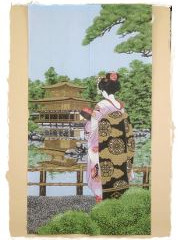 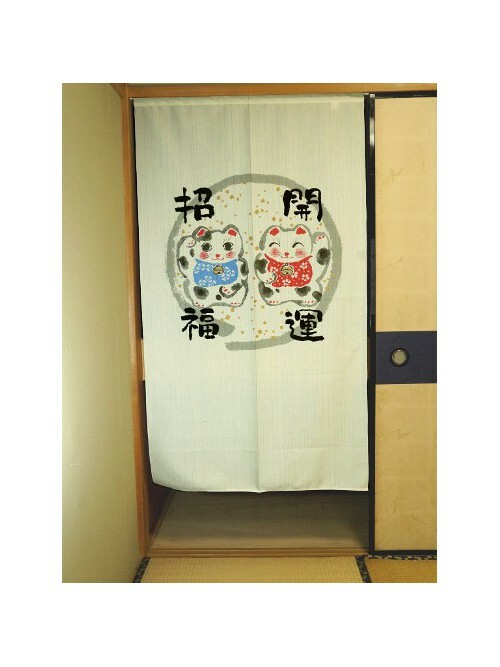 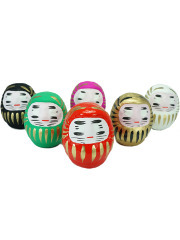 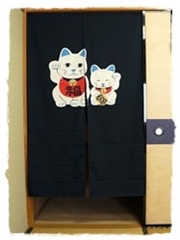 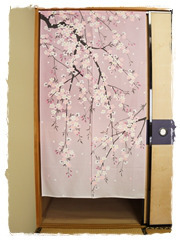 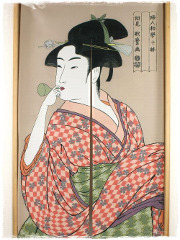 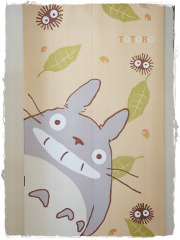 Precious lucky charm in Japan, they bring happiness into your home and welcome your guests. 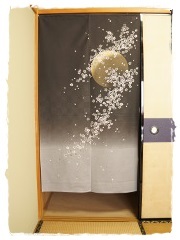 An Ensou circle is drawn behind them, it symbolizes enlightenment, the moon and the limitless universe. 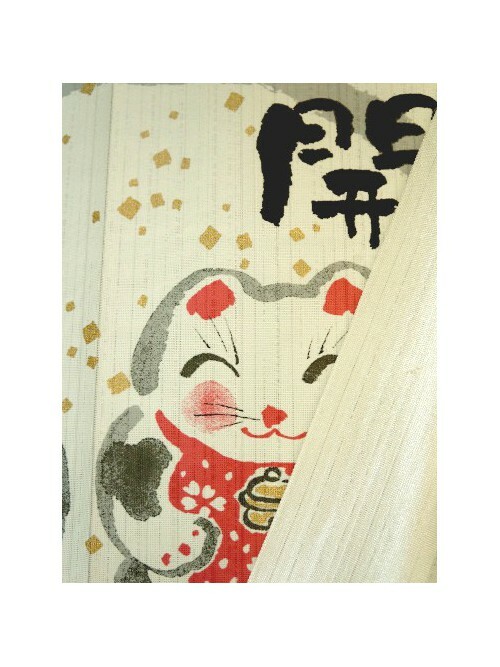 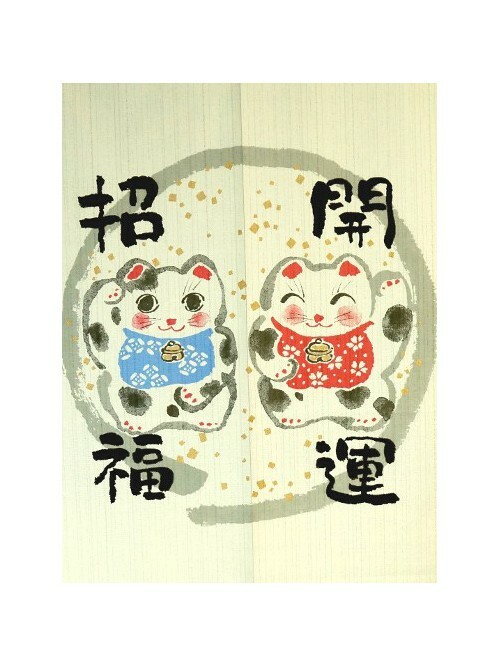 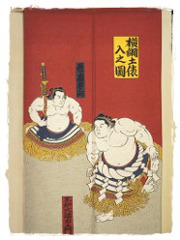 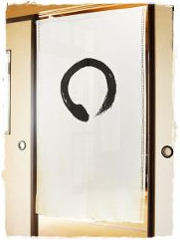 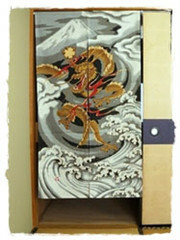 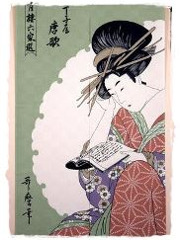 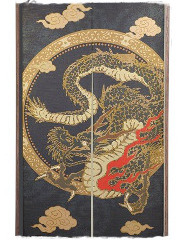 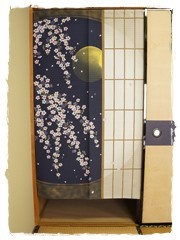 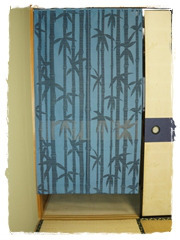 The four Japanese kanji characters "Kaiun Shoufuku" mean "bring luck and good fortune". 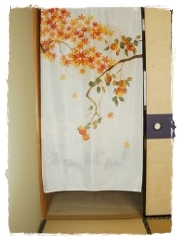 Je suis tellement heureuse ! 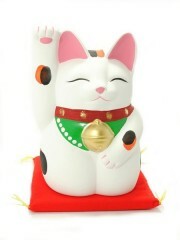 Merci pour le petit cadeau aussi !